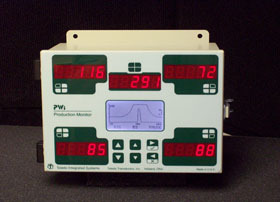 Tonnage monitors can extend the lifespan of your press and dies, protect against hard hits and provide data to determine optimal tonnage for forming parts. 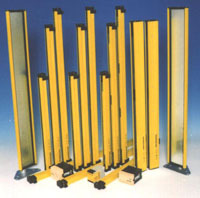 Toledo Integrated Systems offers a wide variety of monitors for each press application. These applications include C-Frame, OBI, OBS, forging, powdered metal, refractory, transfers, assembly and double action presses. 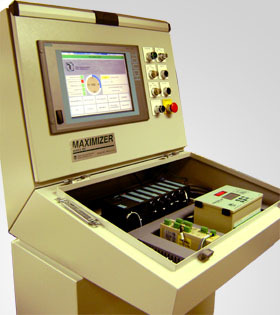 Our press controls & automation department can custom design any line of PLC (Allen-Bradley, Seimens, Mitsubishi, etc.) 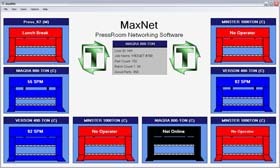 for your press line or integrate into an existing control system. We offer a wide variety of solutions ranging from a simple, easy to install clutch/brake control package, to a more complex, networked, all-in-one complete press line solution. These systems do exactly what their name implies; everything. These are prepackaged systems designed for easy installation, as well as to provide many options inlcuding tonnage monitoring, die protection, job storage, brake monitoring, tonnage signatures and press room networking capabilities. We custom design load cells and sensors for a variety of applications, concentrating on tension and compression forces. Our load cells are used in a large variety of industries including metal stamping, plastics, aerospace, automotive and government mints. NWE are proud to be the exclusive vendor of the AutoCell™, a calibration standard load cell with built-in instrumentation for measuring dynamic tonnage. These load cells are calibrated to A2LA accredidation standards. Toledo Integrated Systems offers a wide variety of press room monitoring/networking software applications custom fit for your application. We offer an array of software applications ranging from signature viewer to our more advanced systems which can monitor, record and report data from our tonnage monitors, all-in-one systems or PLC based control systems. Ensuring the safety of employees running or working near your press is always a concern. Add an extra layer of security and safety to your press with a Toledo Integrated Systems brake monitor and Guardstar light curtains. Die protection units offered by Toledo Integrated Systems range from all-in-one systems to systems designed specifically for die protection. 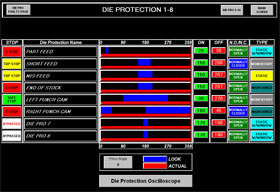 We carry a wide variety of die protection options that will fit your individual needs. 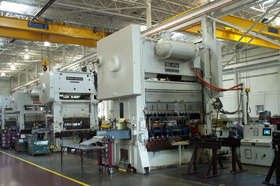 Toledo Integrated Systems also offers various press related products including automatic counterbalance system. If the product line that you are looking for is not listed above, try using our Google search feature located near the top of the page.